There was a time when every brand of dirt bike was different and the characters who rode them were just as varied. Scrambles evolved into motocross and bikes became lighter, better suspended and more powerful. The bikes and the times were simpler and there was really only one reason that people bought a dirt bike - to have fun. In the early 70s dirt bikes of all flavours became a phenomenon around the globe and it seemed like everyone got the taste for riding off-road. Indeed, sales of dirt bikes have never again reached the summit they experienced back at that time. VMX Magazine charts the progress of dirt bikes throughout the period from the 60s through to the mid 80s - a period when change occurred every year to dirt bike design. 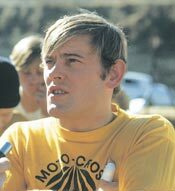 The magazine also covers the riders who excelled such as DeCoster, Robert, Hallman, Mikkola, Lackey, Hannah, Tripes and a whole bunch more. 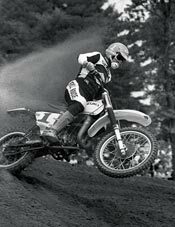 The dirt bike world of that era was built around far more than just motocross of course and VMX Magazine devotes increasing effort to the likes of the ISDT, trials and the backbone of the sport itself, the weekend trail rider. Whether reminiscing about events held in times past or reporting on modern day vintage events, the magazine draws on a spectacular cast of correspondents from around the world including Rick 'Super Hunky' Sieman, 'Bad' Brad Lackey, Nise Wedin, Pierre Jolliet and a host of other luminaries from the dirt bike world. Restoration projects feature large in each issue as for most, it isn't the racing that still attracts them to the fold, it's rebuilding the bike that they used to own (or always wanted in their shed), back to its former glory. From AJS to Zundapp, they all pop up in the magazine sooner or later. You will naturally find all the best suppliers of replica and aftermarket parts for your project in the magazine as well, to make your own resto project a whole lot simpler. No other magazine worldwide can keep you as informed of the old world of dirt bikes like VMX Magazine and share your passion and spirit. Each issue is a glossy, high quality collectible, with some out of print issues already trading for hundreds of dollars at auction. With a world class list of contributing writers and photographers, each and every issue of VMX Magazine will continue to be a 'classic' for many years to come. Same old dirt, same old bikes, same old fun - get it all in VMX Magazine.